That’s bass as in the fish, not as in the music component. Just like a few weeks ago, we spent our aquatic biology class at a pond somewhere north of Jackson. We were pulling a seine, a big net, through the pond to catch fish. It’s harder than it sounds because you have to be sure to keep the bottom of the seine on the bottom of the pond while moving it evenly and then making sure no fish escape. Not to mention one person has to do all of this while practically swimming, or at least wading chest deep. We did this several times and all of our classmates were catching fish that were a maximum of four inches, but mostly minnows were coming in. Then, my friend Alex and I, who are roommates next year as he will be in medical school and I’ll be in dental school in New Orleans, tried our hand at it. Team roommate absolutely dominated. 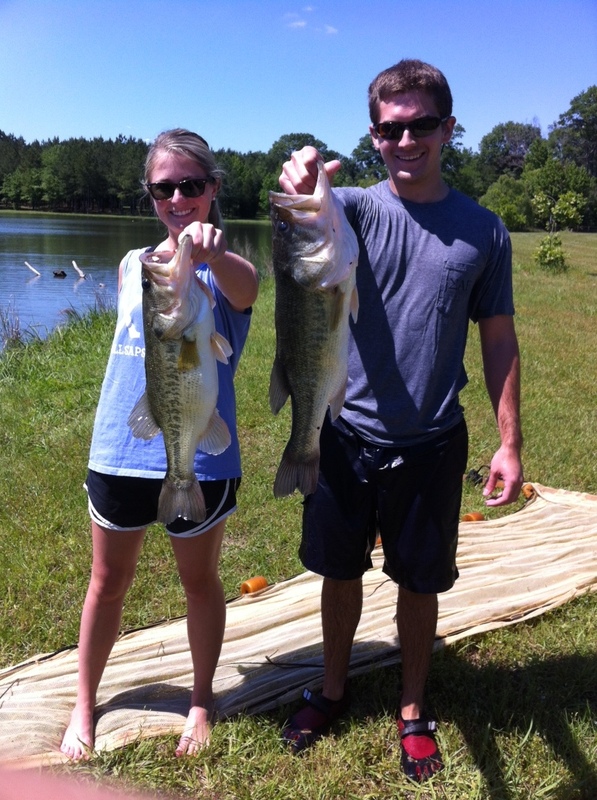 Besides classes going fishing, Millsaps has had lots of outdoor festivities lately in celebration of beautiful weather and the approaching end of school. 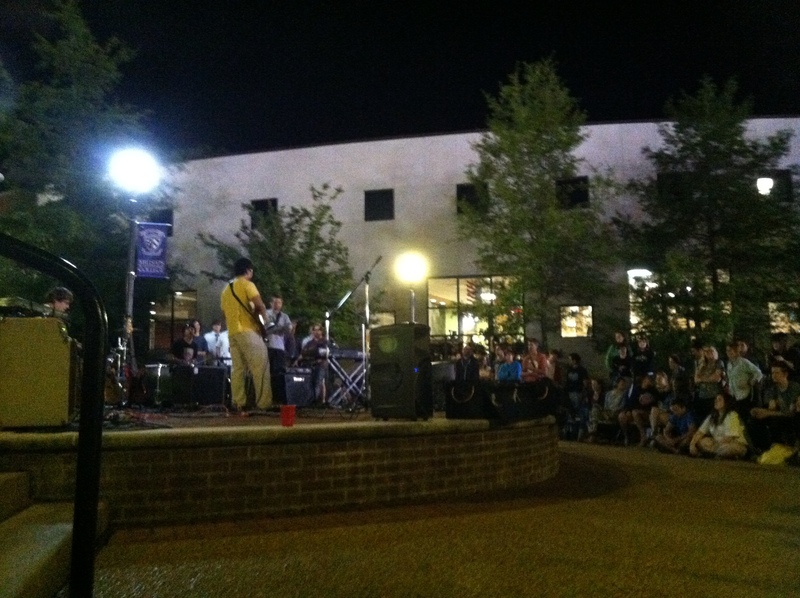 Some students organized a “20 Songs Concert” where students and teachers performed covers of great music outside in the plaza last Wednesday night. The talent was undeniable and some of the acts were both well done and funny, like one pair who sang an accoustic version of T.I’s “Whatever You Like.” I especially loved seeing my professors perform. One of my favorite things about Millsaps has been the fact that I actually know my professors and they know me. We talk outside of class and interact together at events like this. It makes being a student here so much more enjoyable and meaningful. 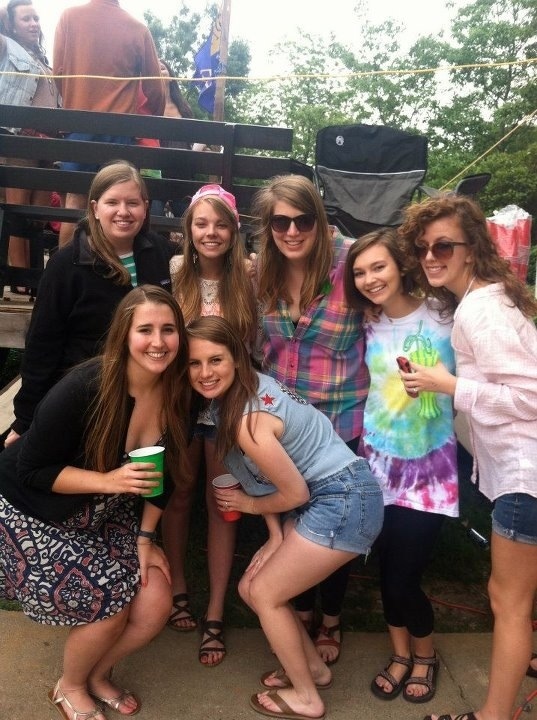 And this weekend was one of the legendary Saturdays of Millsaps- Spring Parties. Each fraternity house has a party all day and all night (we started at about 10:15 AM… oh yes). For example, one of the houses had a crawfish boil (and coming from a true crawfish snob, these were incredible), live music, and sand brought into their yard. It’s one of the best days of the year every year. My friends and I had to take a break from the festivities to shower and rest up in preparation for a very important ceremony that evening. I was one of 18 seniors to be initiated into Phi Beta Kappa, an honor society that began way back in 1776. I had been hoping since I was in the 11th grade that I would be chosen for membership, and Saturday I signed my name into the roll book in front of my family. This is my last week of classes. Last night I had my last test ever as an undergraduate. And this is my last blog to write for Millsaps. I’m not going to try to sum up my Millsaps experience right now because that would be completely and utterly impossible. Suffice it to say, this is where I realized my potential as a student, a leader, and a member of society, where I took the trips of a lifetime (so far at least), and most important, where I met my best friends. Those are the things that will be going through my head on May 12th as I walk across the stage to receive my diploma.